Today, FLIR® Systems announced the FLIR Firefly® camera family, which incorporates the Intel® Movidius™ Myriad™ 2 Vision Processing Unit (VPU) for artificial intelligence at the edge. The Firefly* combines a new machine vision platform with the power of deep learning to address complex and subjective problems, such as classifying the quality of a solar panel or determining whether fruit is of export quality. FLIR engineers accelerated the Firefly’s development cycle using the Intel® Movidius™ Neural Compute Stick (NCS) for prototype development. For large-scale commercial production, they ported that development work to the Intel Movidius Myriad 2 VPU. By rapidly prototyping on the Intel Movidius Neural Compute Stick and the Neural Compute SDK, FLIR streamlined the development of machine learning in the camera. 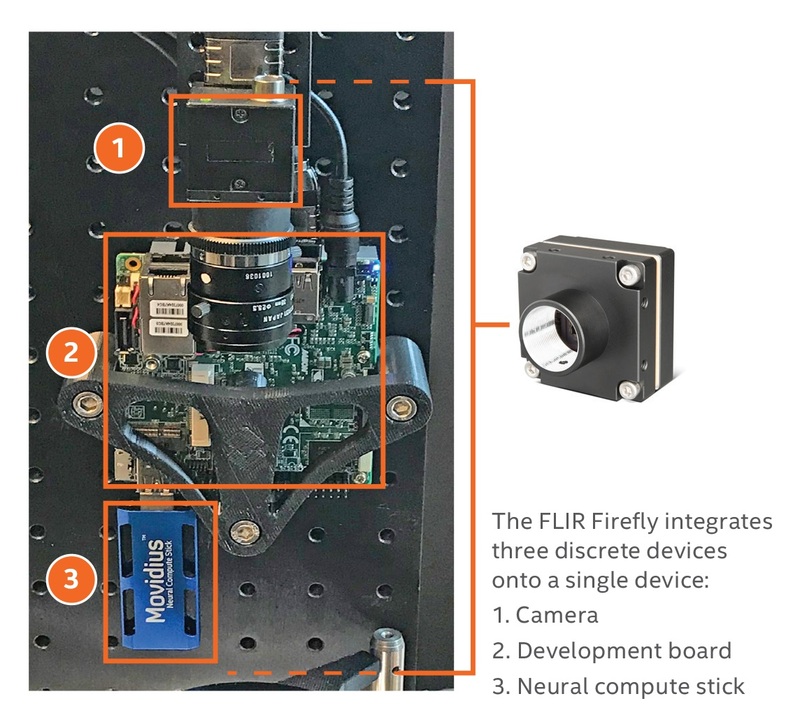 The production version of the Firefly uses the tiny, stand-alone Intel Movidius Myriad 2 VPU to perform two roles at the edge: image signal processing and open platform inference. The 27- by 27-milimeter Firefly is roughly the size of a U.S. quarter.